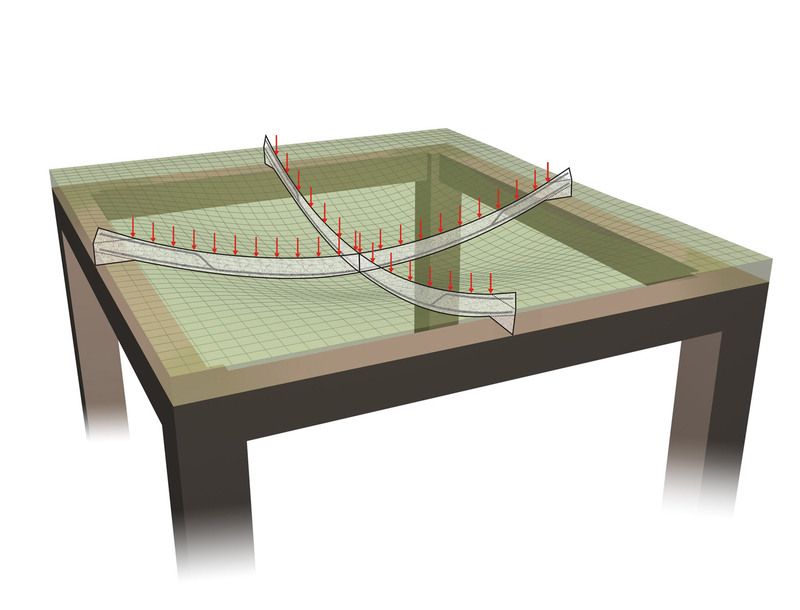 If two beams are added under the free edges of the slab in the previous example, then the slab S1 becomes a two-way slab. The two-way slab S1 is supported by four beams "project: slabs20"
The behavior of a two-way slab is similar to that of a one-way slab the only difference is that the former works in both directions. The reinforcement rules are also similar in both directions. For reasons regarding behavior, safety and economical design, the two-way slab is far more efficient than the equivalent one-way slab [*] NoteThe two-way slab of the example, with the same dimensions and the same applied loads as those in the one-way slab, requires reinforcement equal to Ø 8/150 in the primary (most heavily loaded) direction and Ø 8/190 in the secondary direction. 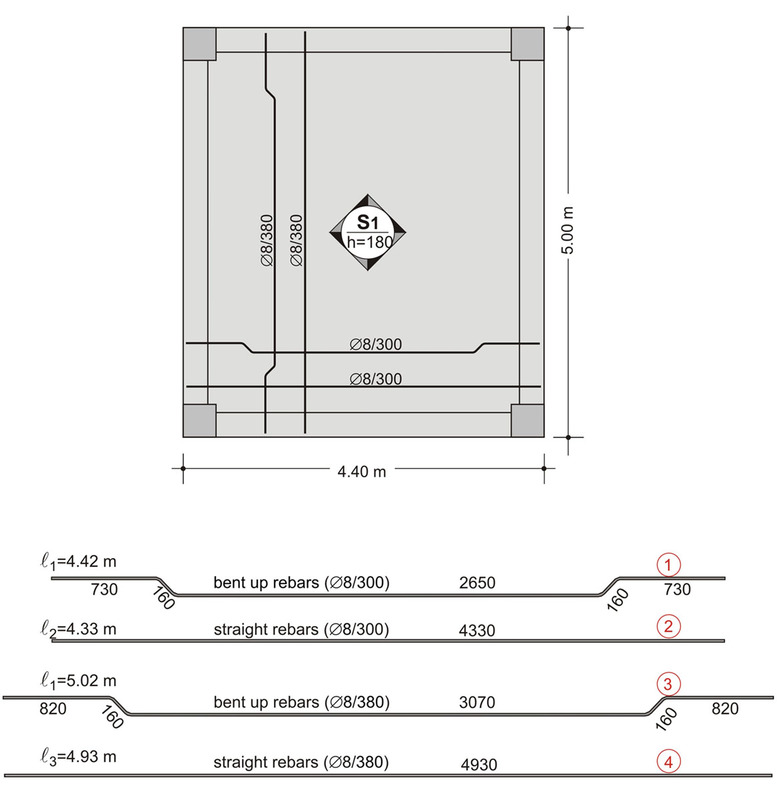 The primary direction reinforcement Ø 8/150, is equal to 335 mm2/m (from table 3) which corresponds only to 43% of the reinforcement required in the equivalent one-way slab which is equal to 785 mm2/m..